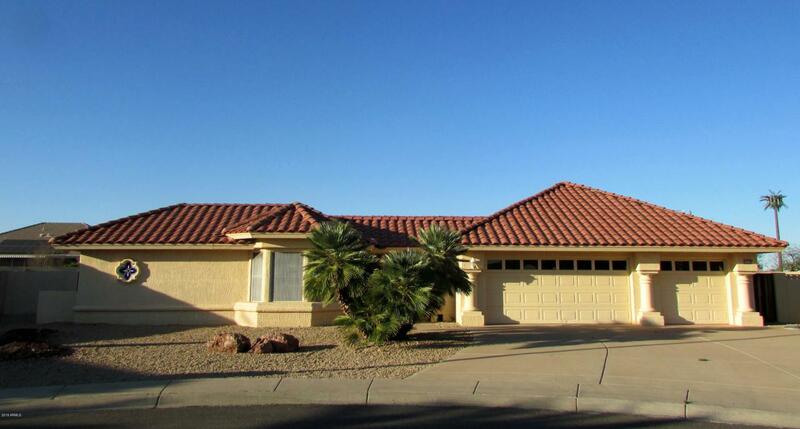 FANTASTIC 3-BDRM, 2.75-BA 'BARCELONA' WITH 3-CAR GAR. ON QUIET CUL-DE-SAC LOT. CONSCIENTIOUSLY MAINTAINED BY ORIGINAL OWNERS. THIS HOME WAS EXPANDED AT ORIGINAL CONSTRUCTION & INCLUDED: 4 FT. ADDED TO DEPTH OF LIVING RM, AN OFFICE/HOBBY RM & EVEN A WORK SHOP ADDED BEHIND THE 3RD GARAGE. 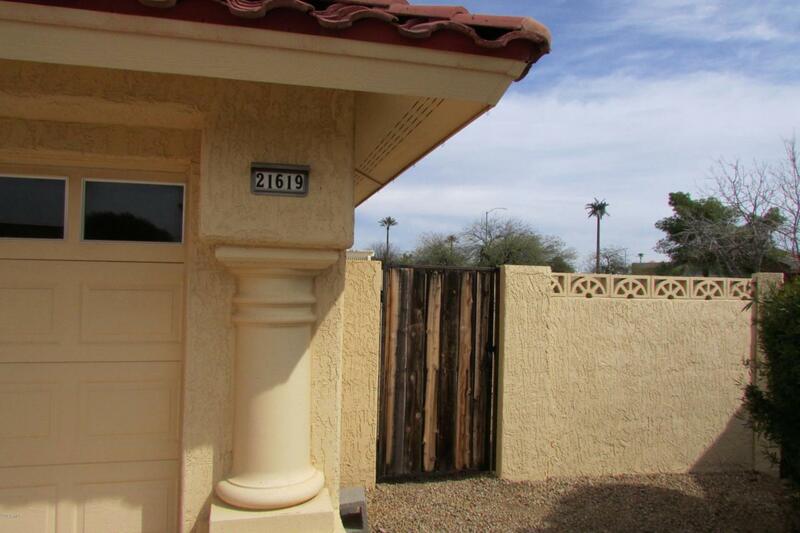 MAIN HOME HAS 2 BDRMS, 1.75 BA, AND THIS ONE'S GOT THE BIG GUEST CASITA WITH FULL BATH. (SQ. FT. NOT COUNTED IN TAX #'S). MASTER BDRM HAS BEAUTIFUL WALK-IN SHOWER. ROOF UNDERLAYMENT REPLACED 09/17 W15 YR WARRANTY. BOTH CASITA & MAIN (TRANE) HVAC SYSTEMS REPLACED, CURRENT TERMITE WARRANTY THRU 01/2020. 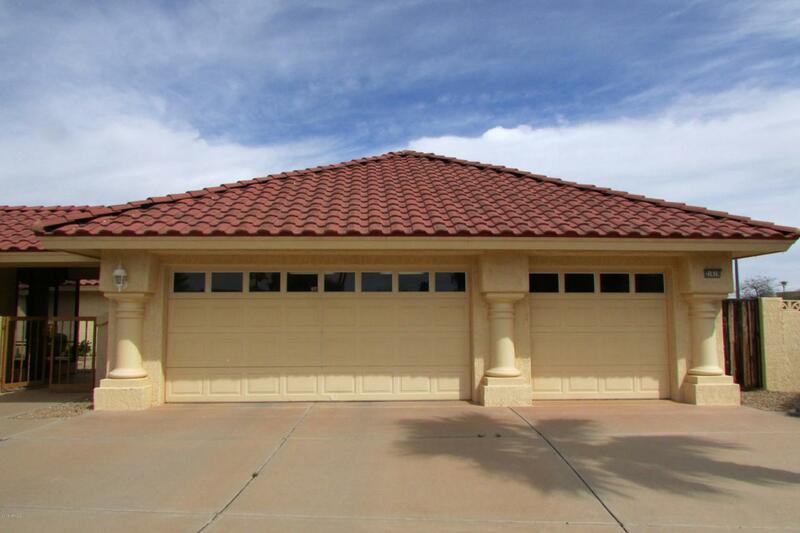 SCREENED IN BACK PORCH & PRIVATE RAMADA PATIO OFFER A PERFECT SETTING FOR ENJOYING AZ'S OUTDOOR LIVABILITY. 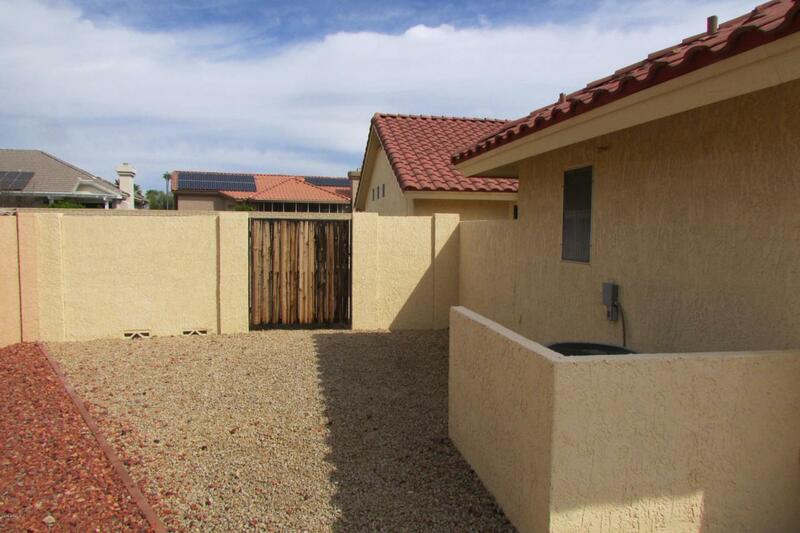 COMPLETELY BLOCK WALLED LOT IN LOW TAX AREA.